Animal shelters in Florida are inundated with homeless pets year-round. In Orlando, as many as 40, 000 homeless dogs and cats will enter the city’s two animal shelters this year alone. The Pet Alliance of Greater Orlando and Hard Rock International have joined forces to draw attention to the plight of homeless pets in the Sunshine State by launching a collectible Shelter Pet Pin Series. Each segment of the brilliantly colored guitar shaped pin represents a dog or cat adopted from a Florida animal shelter. When the set of six is collected, the shelter pet pins fit together to form a beautiful mosaic of dogs and cats. A unique pin is available at each participating locations; Hard Rock Cafe Orlando, Hard Rock Cafe Key West, Hard Rock Cafe Miami, Hard Rock Cafe Tampa and Hard Rock Cafe Hollywood, FL. Proceeds from each pin sold in Orlando directly benefit the pet adoption programs at the Pet Alliance of Greater Orlando. Collect all six to complete the set. A different pin design is featured at each of the participating Hard Rock Cafes and online at . 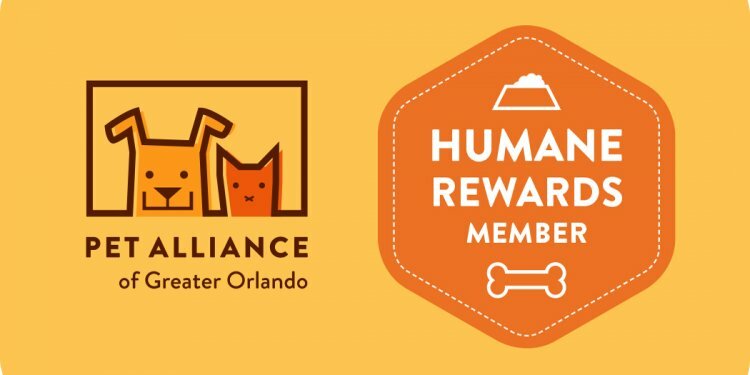 As the go-to pet experts for Central Florida, the Pet Alliance of Greater Orlando does good things for dogs and cats and the people who love them. Formerly the SPCA of Central Florida, the organization’s goal is to provide compassionate and knowledgeable services for pets and to be leaders in innovative animal care and veterinary medicine. More than 7, 000 homeless dogs and cats turned to the Pet Alliance of Greater Orlando for caring, compassion, and hope through its two animal shelters last year. Highly skilled veterinarians will help and heal an additional 45, 000 animals through two veterinary clinics. Providing shelter for animals in crisis, disaster response efforts, and pet food pantry programs for dogs and cats in need, thousands of additional animals are helped each year. Visit for more information.